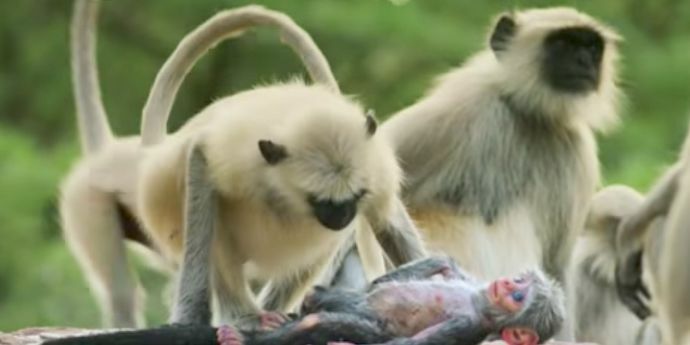 This Clip Of Langur Monkeys Grieving Over The Death Of Fake Monkey Is The Most Heart-Wrenching Thing You Will Watch Today! 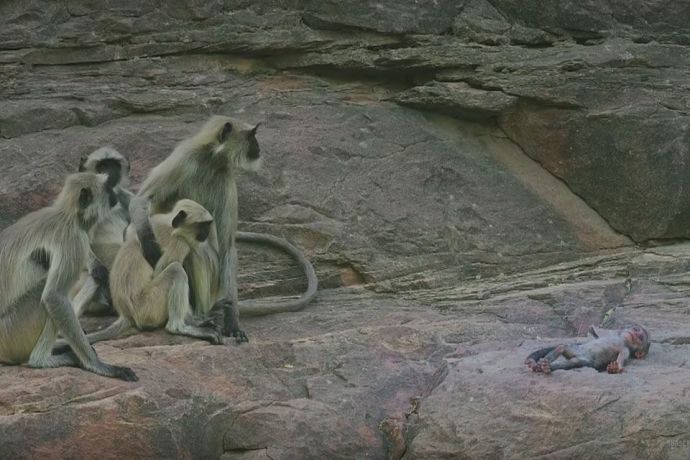 A group of monkeys thought the robot to be dead and started mourning. BBC one recently did a series called “Spy In Wild”, a documentary series where the crew members use a look-alike robot equipped with spy cameras into animal communities to explore animal behavior and emotions up close. 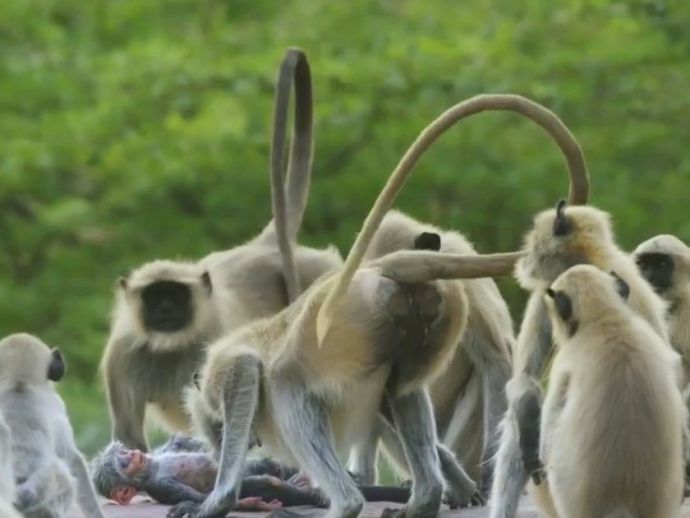 It’s very first episode is on Langur monkeys of Rajasthan. Researches suggest that apes mourn their dead, gathering in silence after a fellow ape dies, and some of the mothers even carry their dead for weeks. This is exactly what the preview of the first episode showed us. A group of monkeys though robot to be dead and started mourning. Some took their own children in their arms and some hugged their friends.